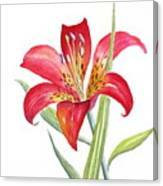 Red Lily by Deborah Ronglien - 8.000" x 8.000"
Red Lily framed print by Deborah Ronglien. Bring your print to life with hundreds of different frame and mat combinations. Our framed prints are assembled, packaged, and shipped by our expert framing staff and delivered "ready to hang" with pre-attached hanging wire, mounting hooks, and nails. 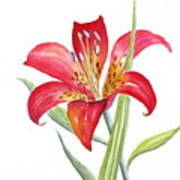 Beautiful Work Deborah! Stunning Detail! Like / Fav. 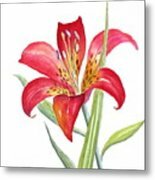 Red Lily- Botanical floral series.